Thanks for trusting and sharing our websit tubescore.net! The composer of this magnificent soundtrack was Hans Zimmer, one of my favorite composers of Soundtracks, with such wonderful BSOs as Pearl Harbor, Tears of the Sun, The Prince of Egypt, Gladiator and others fantastics soundtracks. Pirates of the Caribbean has long been one of the soundtracks with which every day I woke up and let the alarm sound in m clock, precisely with the main theme of the film and that only lasts only a minute. A lot of desire to get up and live another beautiful day! 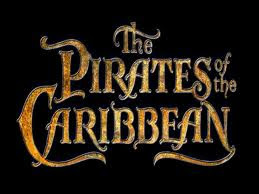 The first score for Treble Clef Instruments and easy flute/recorder of Pirates of the Caribbean is in A minor. Sheet music to play at school in music class. 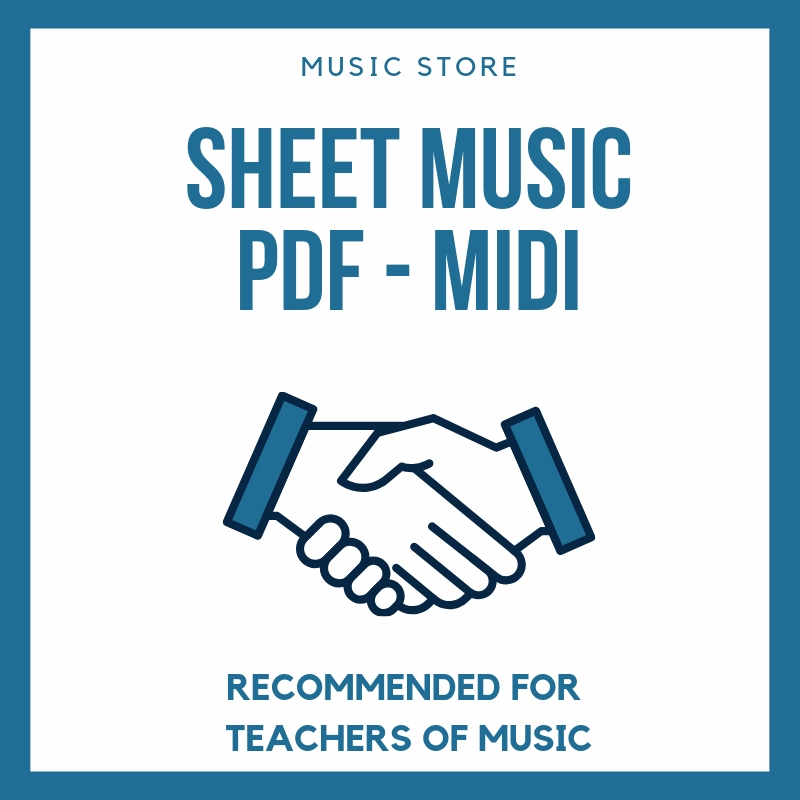 Post recommended for music education and music teachers, as well as students ofmusic and conservatory with a desire to play different scores, scores of songs more known and that motivate them to play. 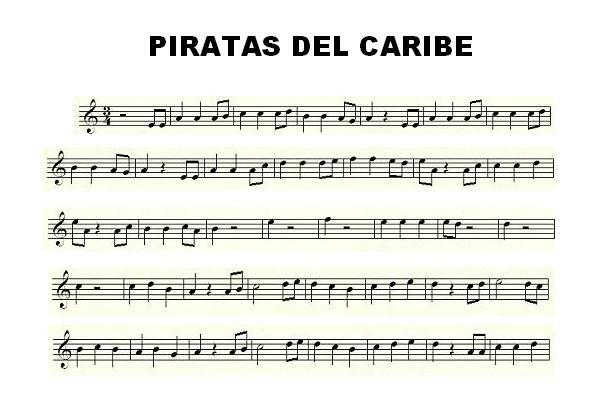 The following Pirates of the Caribbean Score is in Re minor (flute sheet music Pirates of Caribbean), the real tonality of the song. Another easy score to play with any instrument and very good to use at music school. I recommend the arrangement I made in the other scores, it's great! I transcribed a score to be able to play next to the 1st video of Pirates of the Caribbean in the post. 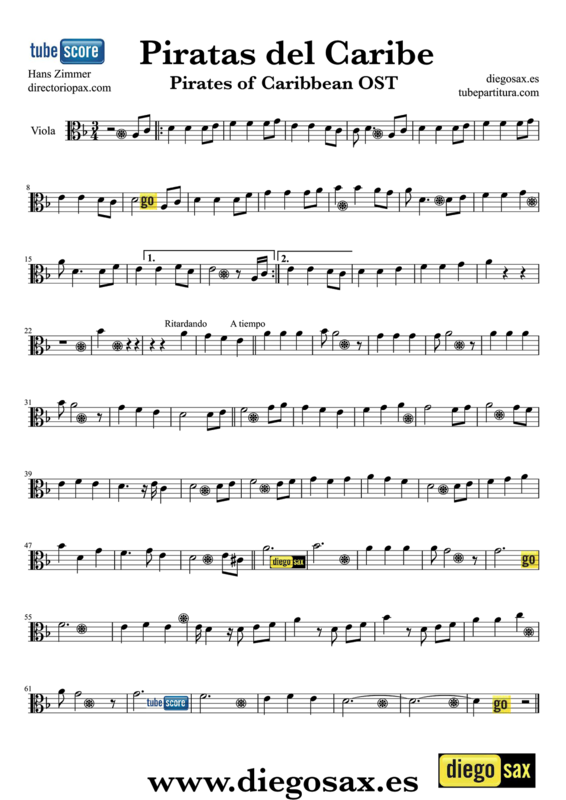 After listening to it again and again, I think there has been a score that exactly reproduces the sound of the first video of the post for each specific instrument, (of course, excuse if some passage does not fit at all or find an error). I hope you can use this work in your class of music and enjoy. 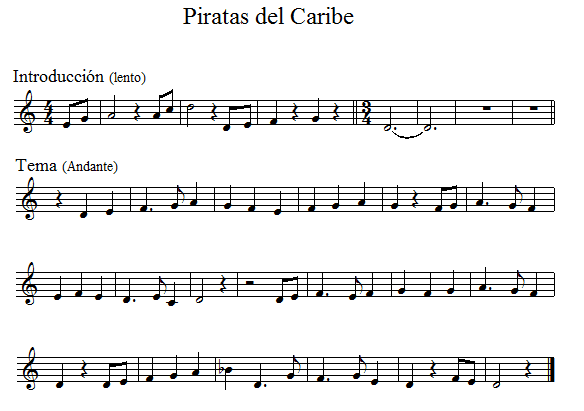 Pirates of the Caribbean score for peak or sweet flute. Ideal for playing in music classes and in schools and colleges. Especially for teachers of music and music education, students, children and all those who want to enjoy the good music of composer Hans Zimmer, (one of my favorites for Pearl Harbor, my favorite soundtrack).